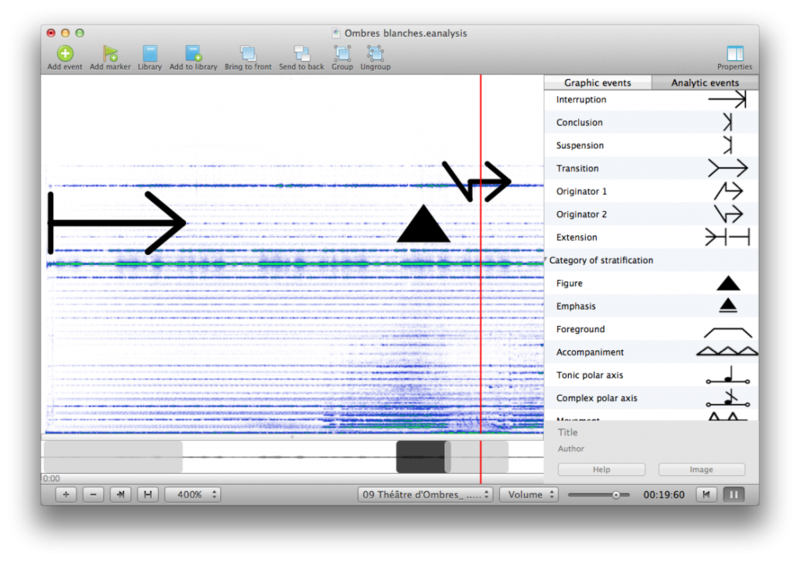 Here are the first screenshots of my new software EAnalysis. 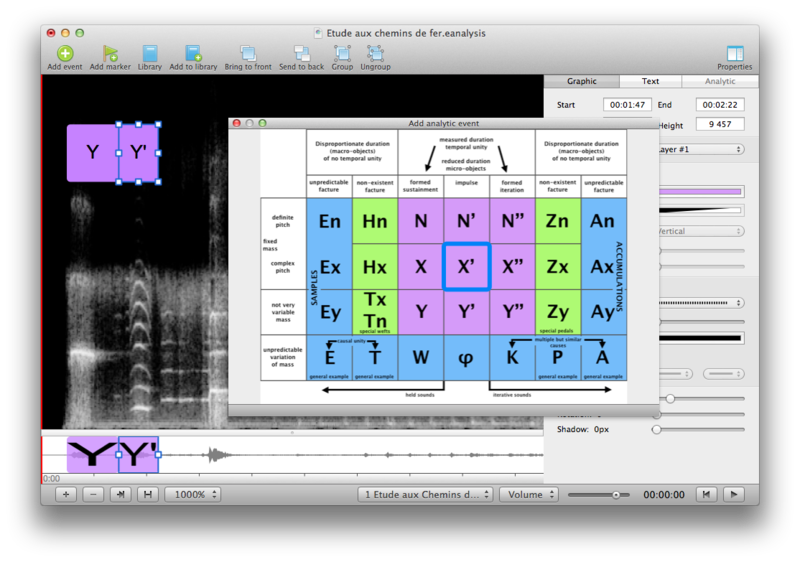 The development of this software is a part of the research project ‘New multimedia tools for electroacoustic music analysis’ at the MTI Research Centre of De Montfort University (Leicester, UK). This project is directed by professors Simon Emmerson and Leigh Landy. 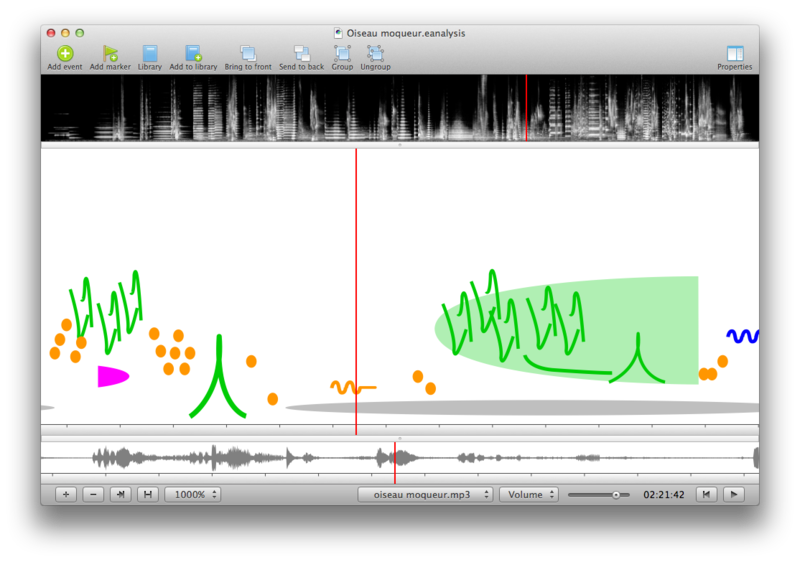 EAnalysis is currently in private beta state, the first public beta will be available for the first quarter of 2012. The analytic representation of L’oiseau moqueur (François Bayle) that I realised on Acousmographe in 1998 and recreate in EAnalysis. 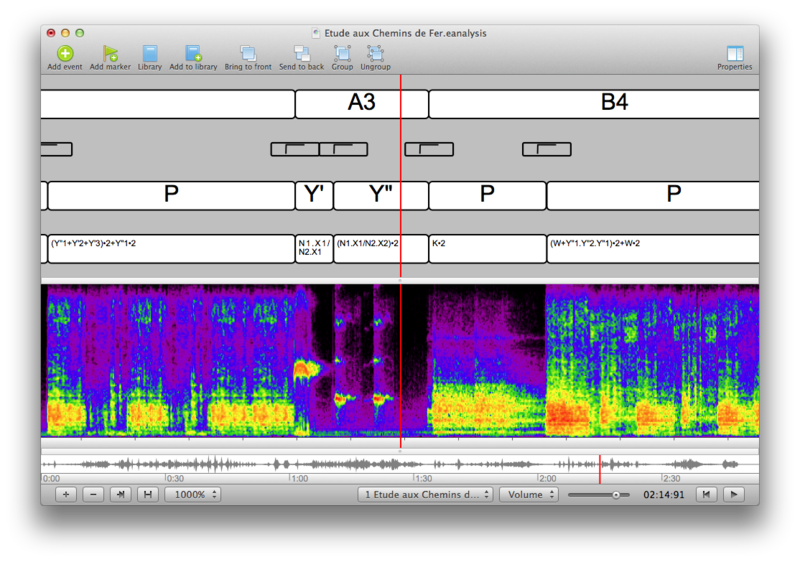 A sound object analyse of Etude aux chemins de fer (Pierre Schaeffer) realised by Mike Gatt. A part of the interface to add analytic events: the sound objects by Pierre Schaeffer (translated by John Dack). An other part of the interface to add analytic events: the functions by Stéphane Roy.